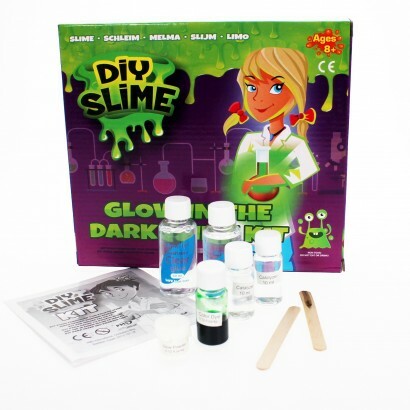 Get scientific and create your very own glow in the dark slime! This DIY slime kit contains all that you need to create gooey, gloopy slime that oozes with glow in the dark effects! 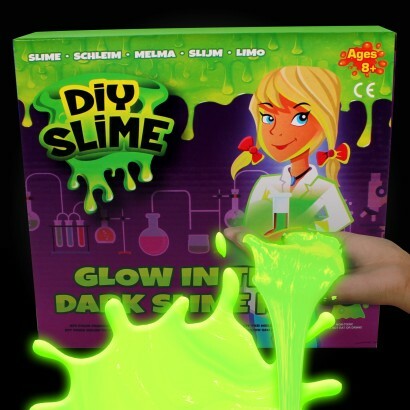 Simply mix the ingredients together for gloriously gloopy slime and then expose to light before viewing in pitch black conditions for amazing glow in the dark effects.